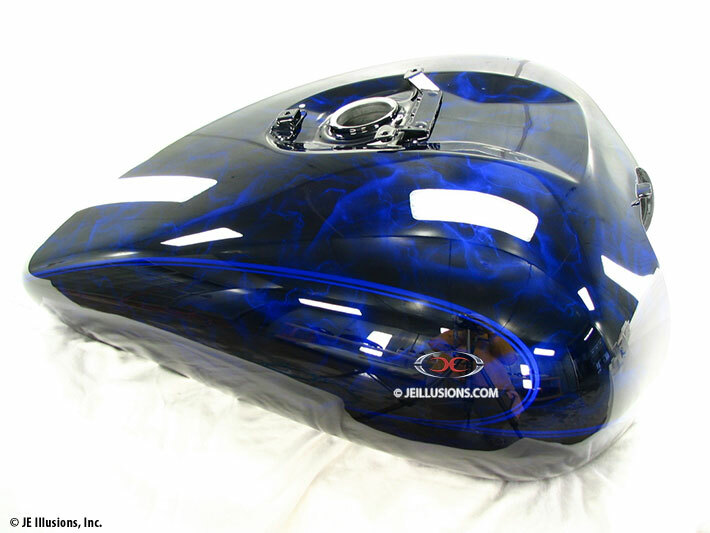 Look closely and you will see that this VTX tank seam was first body worked for a super clean look prior to the paint process. 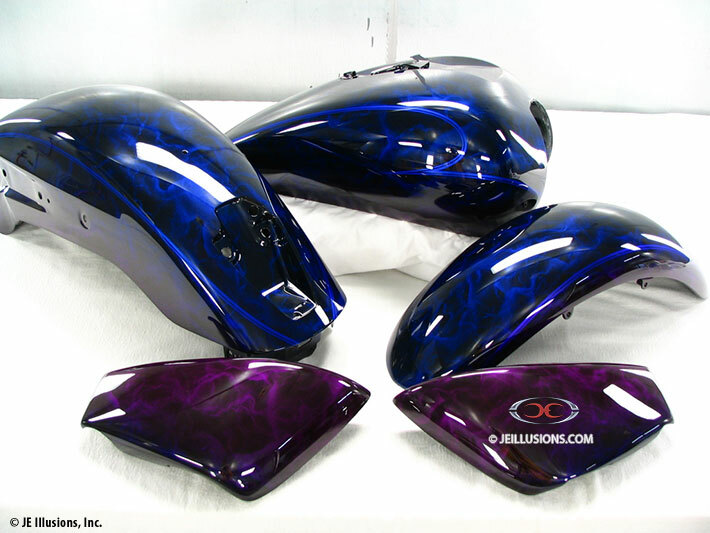 The design features a slight purple along the edges which blends into the jet black under-base. 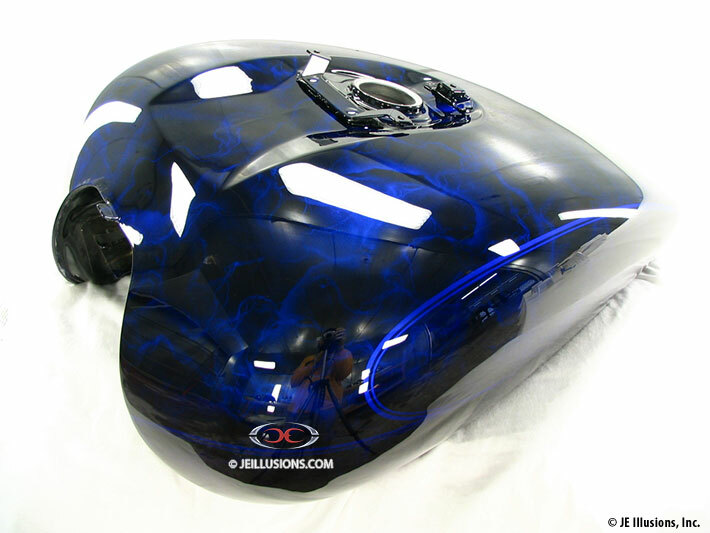 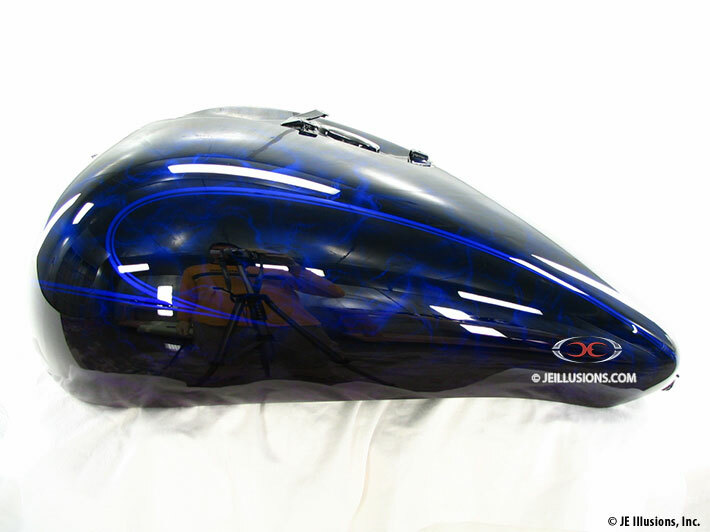 On top of this are royal blue, hand air-brushed realistic alcohol flames, along with airbrushed pinstripes.